Seventy-four-year-old Marilyn Price loves the thrill of the ride. When she’s not busy running Trips for Kids®, the organization she founded back in 1988, this septuagenarian Great Starts Ambassador is out exercising and running errands on her bike, soaking up the beauty of the Northern California landscape. We spent a little time with Marilyn and got the inside scoop on her foundation, her motivation and her favorite hobby…riding. The gift of the ride. Marilyn started biking at age 4 and hasn’t really stopped since. She recalls the day her dad let go of the seat of her bike for the first time. Marilyn was captivated by the thrill — and sense of accomplishment. 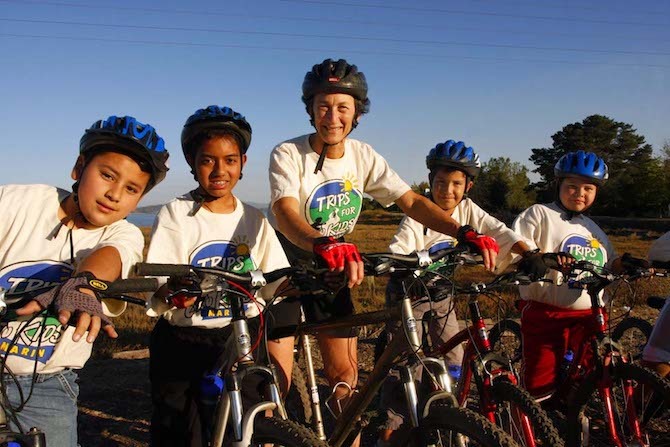 A few decades later, she tells us she tapped into that emotion by starting Trips for Kids®, a non-profit that provides mountain bikes and environment education for at-risk youth. Since it’s inception, Trips for Kids® has grown to more than 85 chapters nationwide, combining lessons in confidence building, achievement and environmental awareness through practical skills, not to mention the simple act of having fun. To date, they’ve opened up the world of mountain biking to over 140,000 kids. Biking is a pretty powerful thing. Both the kids and advisors have something to say about the power of biking, and Marilyn couldn’t be more proud. To learn more about Trips for Kids®, make a donation or start a chapter, visit TripsForKids.org. Meet our other Great Starts Ambassadors!